Deborah is a fish hobbyist and is fascinated by small ecosystems. She enjoys caring for aquatic life, including goldfish. 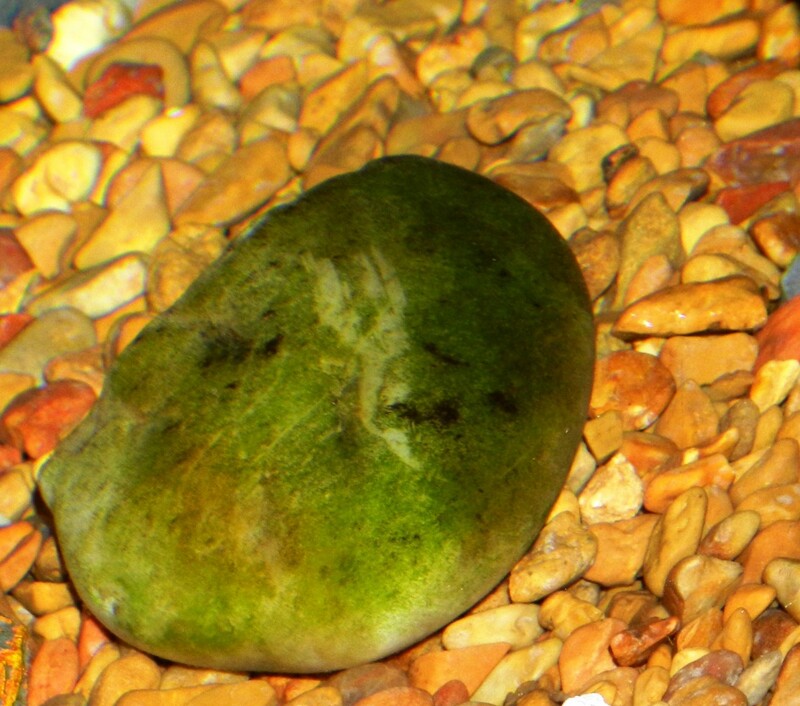 The most common method of tank care for an aquarist is to keep substrate in the aquarium. There is much debate over the pros versus the cons of keeping a tank clear of substrate. Substrate is beneficial in the aquarium, but it can sometimes be more convenient depending on the species of fish to just have a bare-bottom tank. With species like goldfish, it is sometimes cleaner to keep a bare-bottom tank. 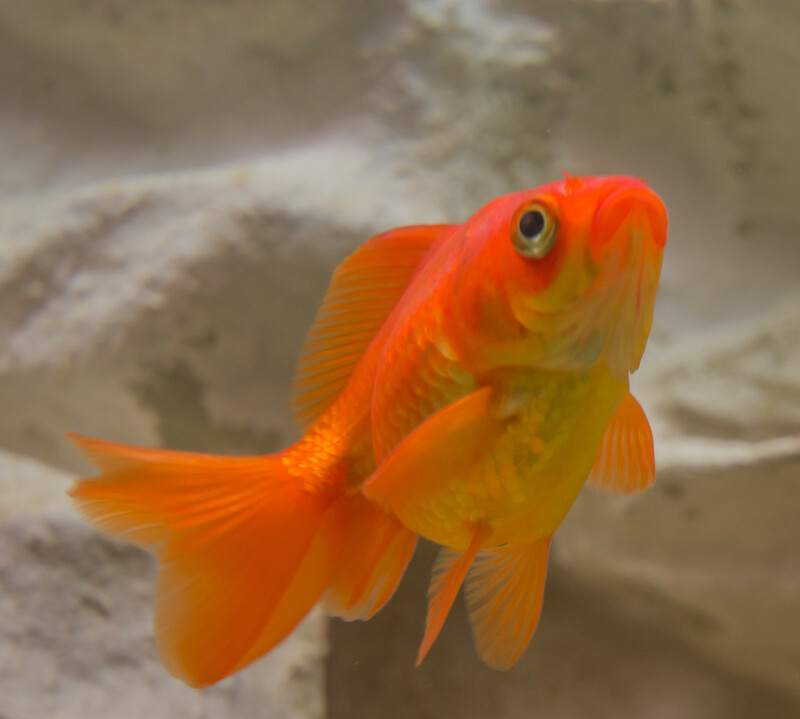 Goldfish uproot plants and are messy, so it can be more difficult to keep the substrate clean. Some aquarium hobbyist prefer to have the tank free of objects and any kind of substrate. 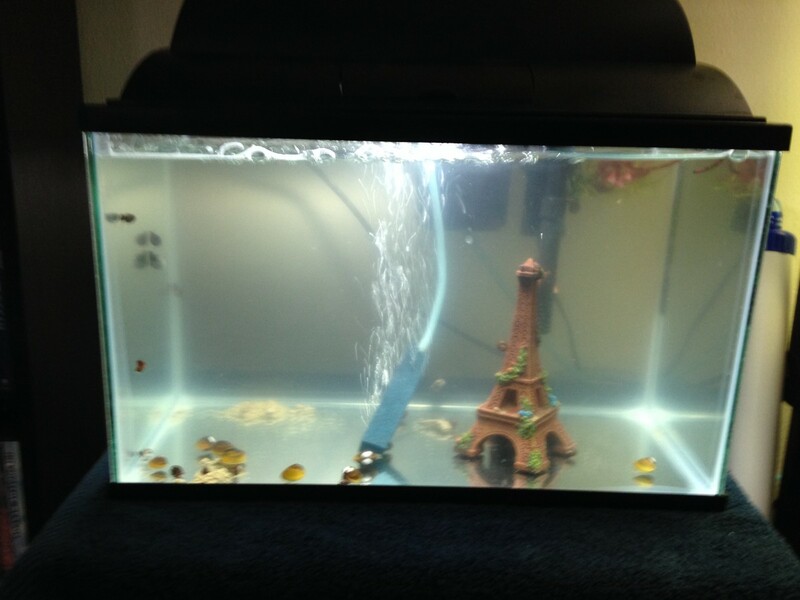 It can be economical, since bare-bottom tanks require less substrate maintenance. Here are some tips for keeping a bare-bottom tank and for reaping the benefits of a tank with substrate. Some fish keepers will arrange pots within the aquarium. 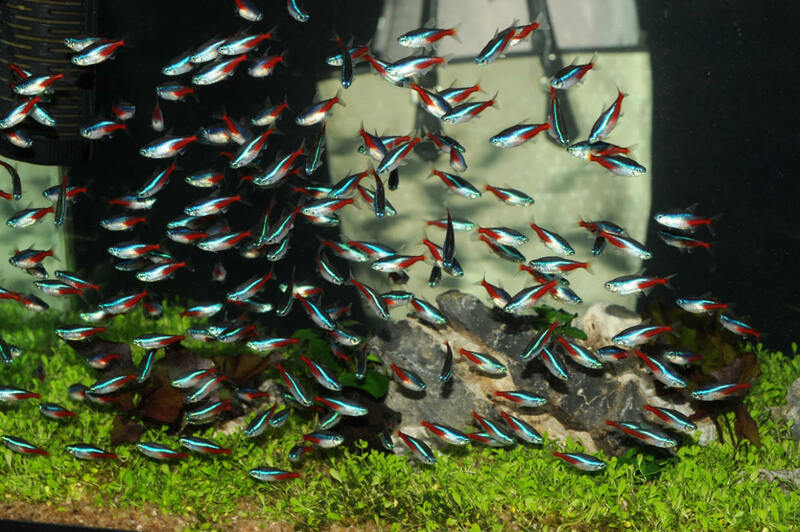 Here are things to consider with substrate-free aquariums: there is no substrate to place live plants into, fish waste is more obvious, and they may require more attention and care than aquariums with substrate. 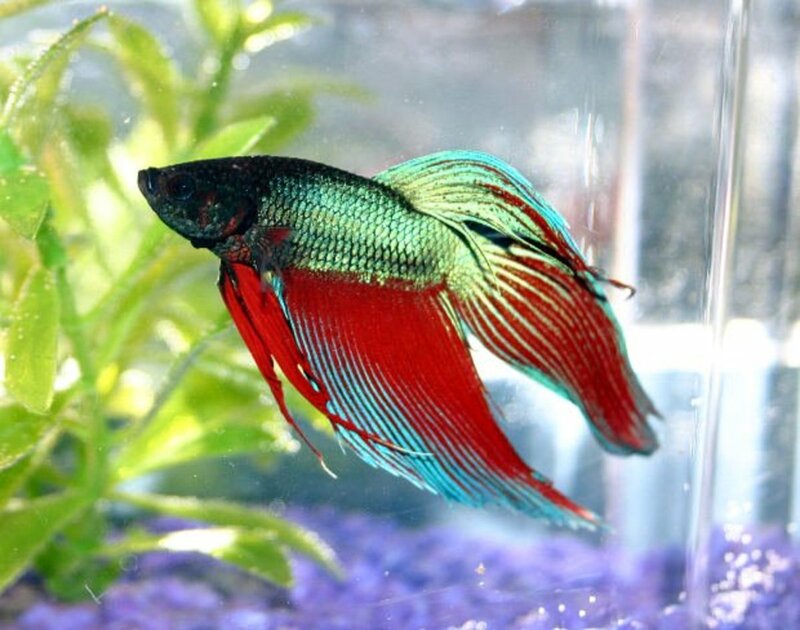 The Betta fish is a popular choice for fish hobbyist. 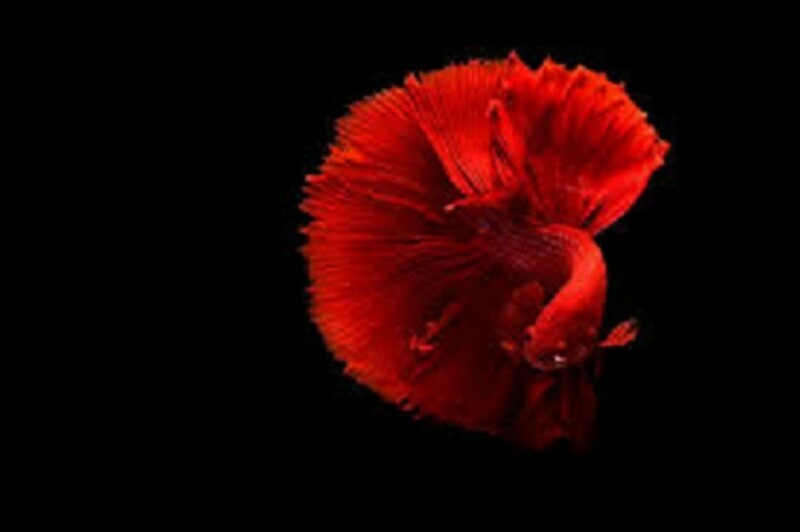 The Betta, Minnow, and Goldfish, are species of fish, that do well in bare-bottom tanks. Live plants can be beneficial to an aquarium. No substrate, no problem! There are some species of live aquatic plants that do not need substrate to thrive in the aquarium. They are known as rhizome plants. 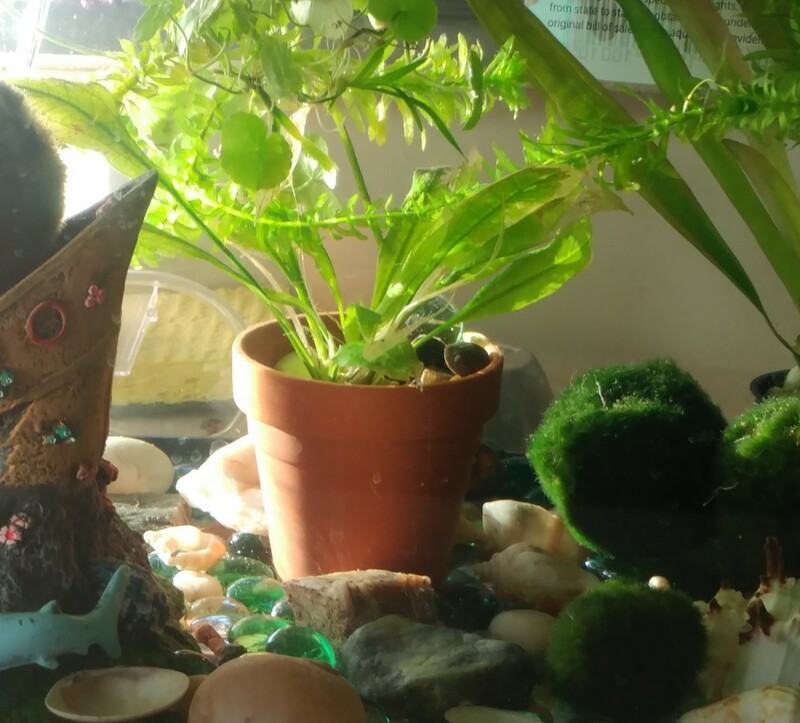 The roots may be attached to rocks, decor, and driftwood. 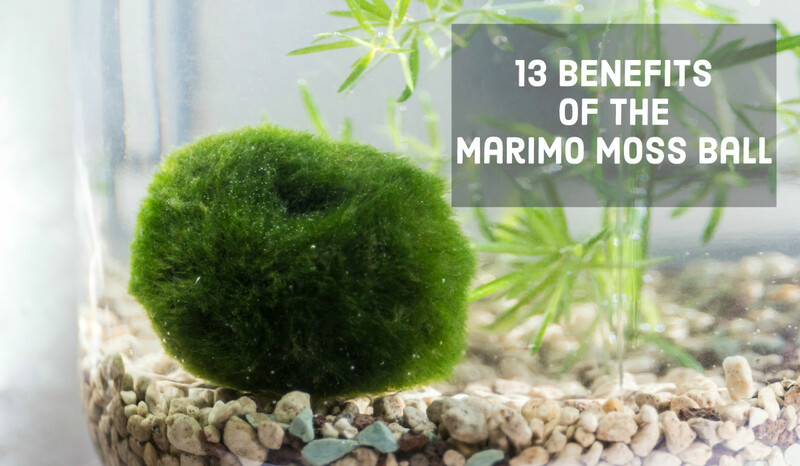 The Marimo Moss ball is the most convenient plant for a bare-bottom tank; technically it is a moss. This plant can simply be dropped into the tank, and be a healthy addition for your fish. The Pothos is an excellent plant for a bare bottom tank. Not truly an aquatic plant, Pothos will still generously remove nitrates from the water. The roots should be placed within the water, as the leaves remain above the surface. A sprig of pothos plant can be used for this purpose. 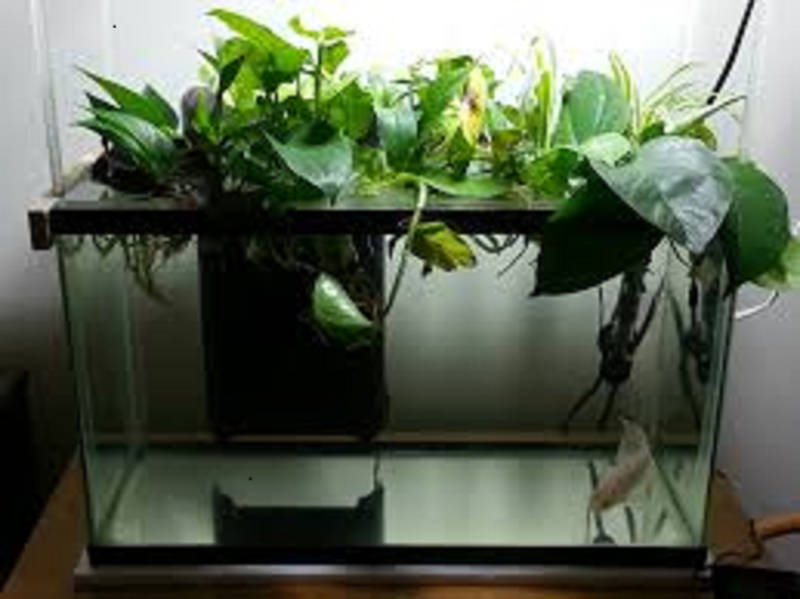 It is not uncommon to find an aquarium completely empty of substrate and objects, with only Pothos placed in the tank. Pothos should be positioned on top of the tank with its roots hanging into the water. Potted plants are also an option for bare-bottom tanks. Plants like Amazon Sword can be potted and set into the aquarium. Be sure to consider the species of plant, and the size of pot it will require. Floating plants are a perfect choice for bare-bottom tanks. They require little maintenance. Simply place the floating beauties in the water of the aquarium. Floating plants are an ornamental addition to aquariums. 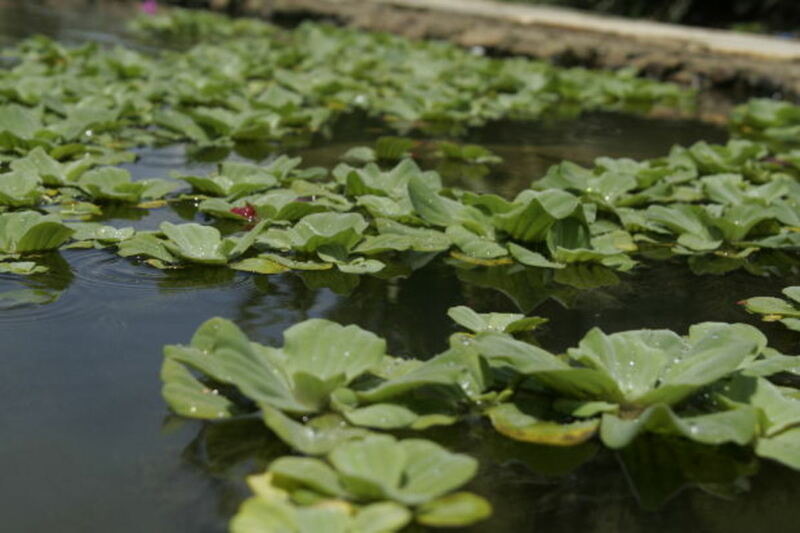 Water lettuce is an aquatic plant that conveniently removes nitrates from a substrate-free tank. One of the most common mistakes fish keepers make is neglecting to maintain the water quality of a bare-bottom tank. Since there is no substrate, many mistakingly think that the tank does not need to be maintained as often. In a bare-bottom tank there is no substrate, so beneficial bacteria will not be stored there, for some aquarium keepers this fact poses a problem as bacteria will likely store itself in the filter. 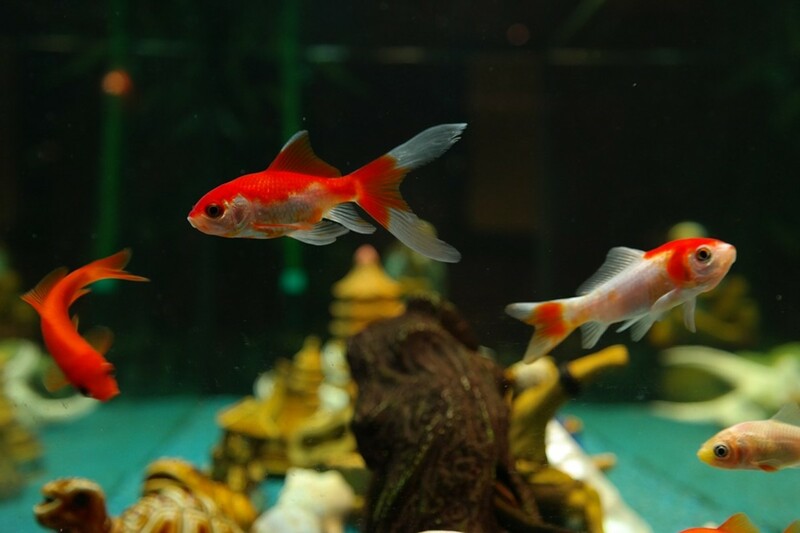 For some fish hobbiest, it is considered impossible to keep good water quality with a bare-bottom tank. This is not necessarily true, and you may keep a perfectly clean tank with water changes and a vacuum. An aquarium siphon vacuum is convenient for an aquarium with no substrate and works great for the bottom of an empty tank. Water quality should still be monitored, and water changes performed when needed. Some aquarium hobbyist drop poly filters into the tank to assist with water quality. Live plants assist in storing beneficial bacteria and removing nitrates from the water. When keeping a bare-bottom tank, simply follow the regular cleaning schedule of the aquarium and everything should be fine. The Pothos Plant is an excellent plant to help maintain water quality. It is a common choice for aquariums free of substrate. It is important to consider what species of fish will be in the aquarium if you choose to keep a bare-bottom tank. Goldfish, Bettas, and Minnows will do just fine in a bare-bottom tank, but some species of fish need substrate to live a healthy life in the aquarium. Goldfish can be little rascals in the aquarium. That is why they are sometimes found in a bare bottom tank. 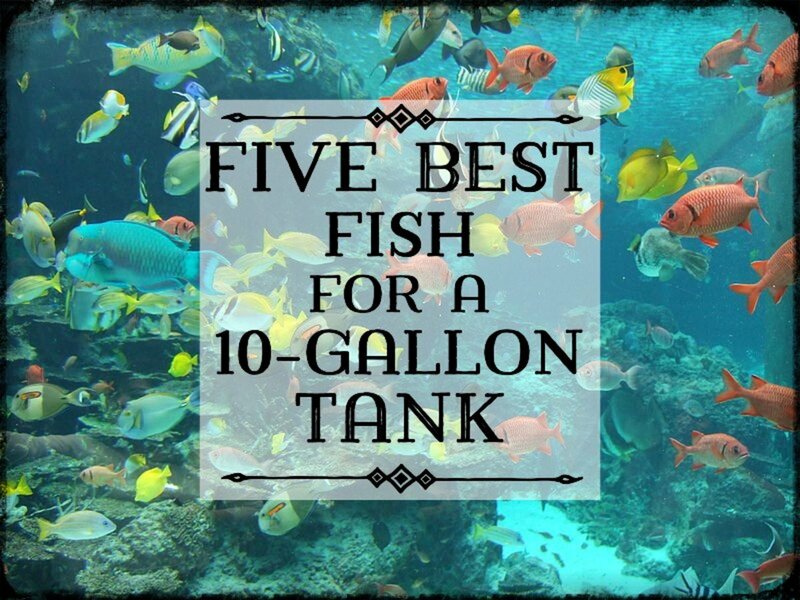 Those are simple and effective tips for those who wish to keep a bare-bottom tank. Enjoy your little swimmers! Very good tips. I have never used live plants in my aquarium just the fake ones.